and my house looks great. I recommend calling DVC Aluminum. You will not be disappointed! Excellent workmanship! DVC Aluminum guys did an amazing job. Very personal experience. Good pricing - very competitive. DVC Aluminum replaced the eavestrough and downspouts on my home because the former ones were leaking in different parts. satisfied that I have received good service. Very professional, reliable and trustworthy. 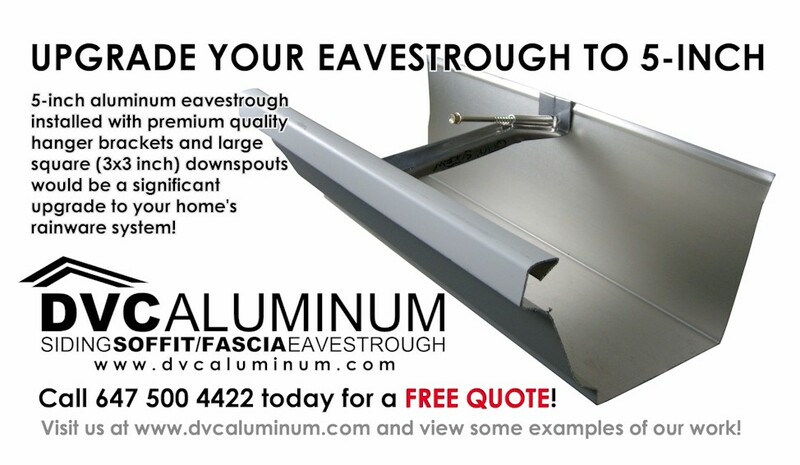 I recommend calling DVC Aluminum. Serving Mississauga, Etobicoke, Brampton, Oakville, Woodbridge, Vaughan, Richmond Hill, Toronto, Caledon, Bolton, Georgetown, Milton and area. 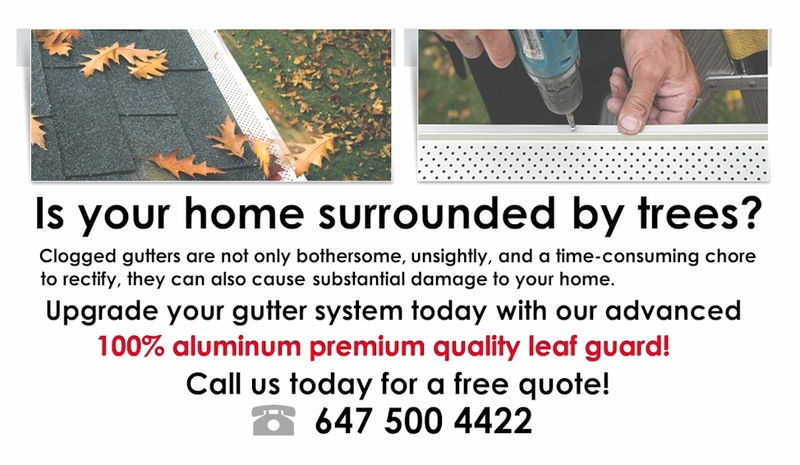 We specialize in full renovations and repairs. 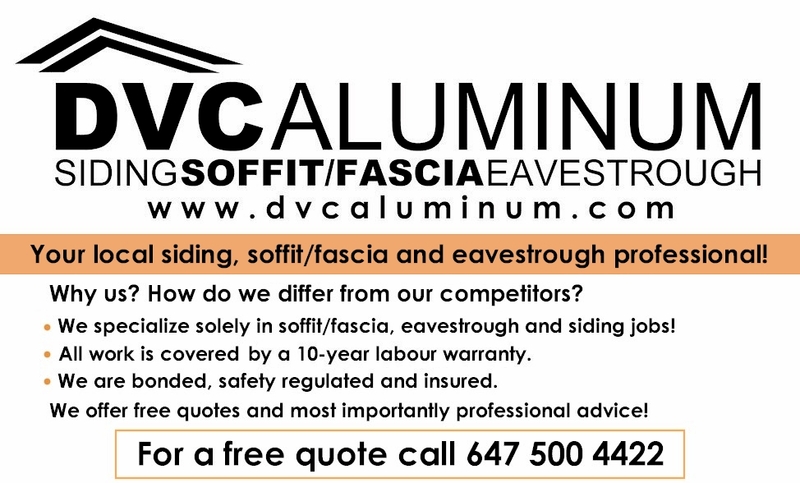 For all your siding, soffit, fascia and eavestroughing needs call DVC Aluminum today!